If you’re unfamiliar with the role of a mortgage broker, their job is to help you find and secure a loan in line with your needs and budget. While you could do the research yourself, there are a few reasons it might be worthwhile for you to reach out to an experienced broker instead. 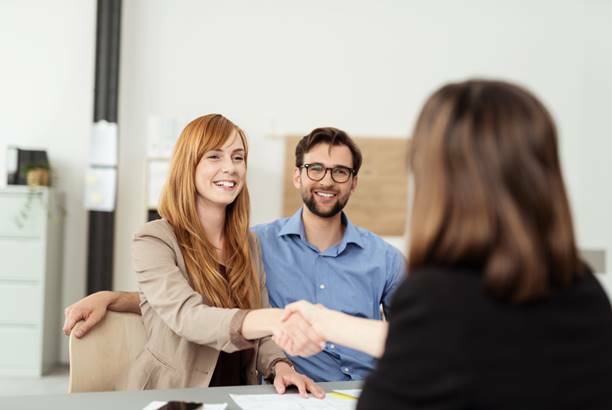 Consulting with a home loan broker is becoming a more popular option as people understand more about their role and benefits. The most obvious benefit for choosing a mortgage broker is the potential to save money. At RateComparison, we save Aussies an average of $3821. It’s basically free money. You fill out a few details and the hard work is managed by an experienced professional who has your best interests in mind. Some people are skeptical about this, especially with the concept of a mortgage broker not yet universally understood—there must be a catch somewhere, right? While this thinking is understandable, rest assured most mortgage brokers don’t have an incentive to work against your best interest. In fact, some brokers will receive a lower commission if the loan structure they select doesn’t fit their client’s needs. Positive user experience is much more valuable to a mortgage advisor company than padding out an individual broker’s pocket. It’s not all about money. Your time and sanity are just as important as saving a bit of extra cash. Consider how much time it would take you to research multiple loan types from multiple lenders. RateComparison compares loans from 27+ lenders. That’s a lot! Juggling work, kids, and money among life’s other responsibilities isn’t easy. Take some of the work off your shoulders and outsource it to someone who can give you expert advice at no cost to you. Home loan brokers do the legwork for you by supporting you throughout the application and pre-approval process, including doing all paperwork, answering questions, helping you apply for government grants and shedding light on options and loan features you may not have considered or even known about. These features may include things like redraw facilities, the option to make extra repayments, and offset accounts to name a few. These features can make a massive difference to your mortgage experience and costs. Better yet—if you’re unfamiliar with these concepts and how they may affect you, your broker can clarify and answer questions over a phone call. Brokers have access to exclusive deals that aren’t advertised by the banks. The banks push these deals onto the brokers, and the brokers are in charge of selling the products. Speaking to a broker unlocks these extra perks you would otherwise miss out on by going directly to a bank. Whenever you request pre-approval of a loan, if you’re knocked back, this leaves a mark on your credit rating. Brokers have the knowledge and experience required to give you the best shot and being approved first-time around. Mortgage brokers help people secure loans for a living. They have access to helpful information and exclusive deals you would otherwise not find. Loans come with subtleties you could miss if you’re not looking for them. And it’s these subtleties that can make a difference to your mortgage in the long haul. Having an experienced professional who can point these out for you is a huge benefit. Just as you would contact a plumber for a leaking pipe, or a hairdresser to replenish damaged hair, a mortgage broker is an excellent choice for all your home loan needs. The bottom line is simple. Instead of taking time out of your day to research hundreds of loans and multiple lenders, and still potentially missing key subtleties, why not hand the work to someone who’s experienced in the industry? There are so many different loan types out there these days—some are best suited to investors, while others are suited to new homeowners, those refinancing or younger buyers. It all depends on your financial situation and initial reason for taking out a loan. Brokers have incentives to work in your best interests, so you can be confident they’re there to help and support you. With many brokerage services now being free of charge, you have nothing to lose by comparing. Going straight to your bank for a quote means limiting your options to a few select loans that may or may not suit your financial situation. You could be shooting yourself in the foot by not taking the opportunity to compare thoroughly and widely across multiple lenders.